For 18 seasons now I still have a lasting fondness for fly fishing the local small streams. The fish are not big - 18cm to 25 cm is the common size, with 30cm being good size and very rare 40cm to 45cm fish. 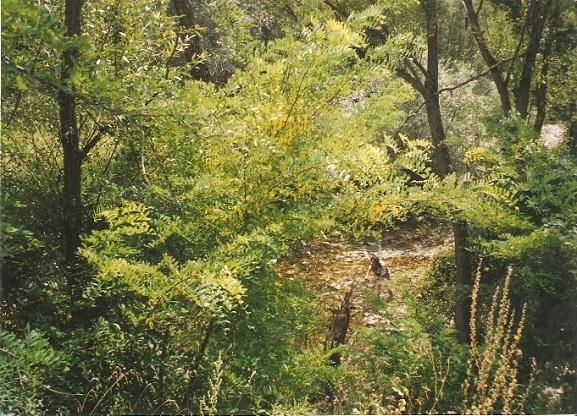 It's often easier to find solitute and to spend a relaxing day out on some of the hundred of local trout streams. The beauty of the mountains where the streams flow, the fresh air away from the polluted city, will recharge the batteries of the misfortunate citizen every time when he or she fishes the streams. I will take the map, see if there is a stream somewhere, look at the altitude, guessing what are the chances for a good trout habitat, bring the fly rod, some flies - nymphs, wets, dries, emergers and have a go! Every season I will try to find and fish a new small stream to have a rest from my usual choices of regularly fished waters. 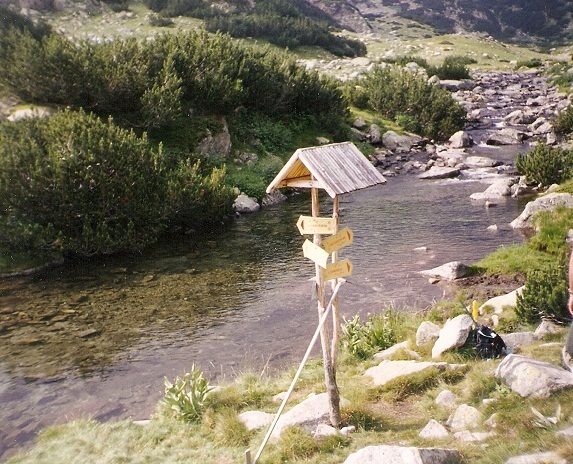 In fishing terms the streams are not difficult to fly fish, assuming you are physically fit enough to follow the stream for a long route with obstacles, climbing rocks along the shore and finding your way in the forest. 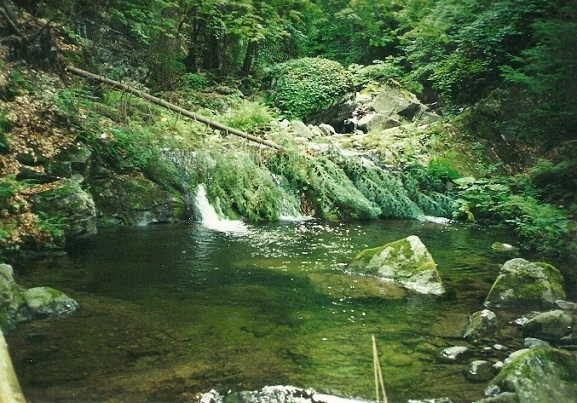 The trout will often respond eagerly taking nymphs, wets and dries. 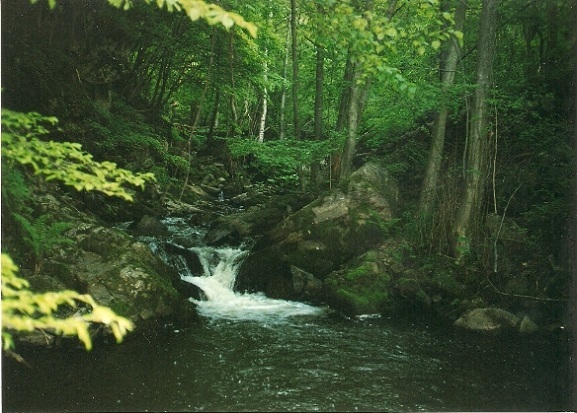 The streams are not rich in food, especialy at higher elevations. On the small freestone streams there is a wide variety of different insect forms - Caddisflies, Ephemeroptera, Stoneflies, Diptera, terrestrials etc., but in a much lesser numbers than in a rich food source water such as a spring creek/chalkstream. The scarce food and the harsh conditions force the small stream (freestone) trout to take our flies in less discriminative manner, rewarding both the novice fly angler and the old gun although in a different ways. Over here a newcomer to the sport of fly fishing may start with the chub, but the next level to the brown trout may be the small stream trout. Fly fishing the small streams is a good way for the novice to build confidence in flies, methods and presentations. In my observations the hardest part is often not learning how to cast, but building confidence in your arsenal of fly fishing tricks that will only come with practice. As for the old gun - the reward of fishing the small stream is always there - by just being on the water fly fishing!